Adulthood can be full of adventure and energy. However, it can also be easy to lose sight of the simple pleasures. My 7-Day Programmes and workshops are full of encouragement and advice on building the best “you” and investing in what makes you happy. They’re also about mastering the world of dating. But there is another key part of our lives that it can become so easy to take for granted – our friendships. Sooner or later, the group of buddies that grew to be so inseparable in school, at university, in a job, or on the football team will go through a reshuffle. Maybe it will fall apart altogether. What naturally happens to the majority of friendships is a gradual, virtually unnoticeable drift over the course of many years. Such is the nature of life. It takes people on different paths to different places and fills the spaces previously occupied by carefree friendships with work commitments or family matters. If you’re starting to feel like your friends are steering away from you, stand up and be counted. Don’t give in to bitterness. It’s on you to make contact, stir up a conversation, and make sure you’re in the same place at the same time. You should be enjoying your marriage and your job. But if either or both start to take up all of your time, you need to find a way to regain a rich balance in your life. It can suddenly dawn on you – you haven’t seen anyone that isn’t your wife or your boss for three weeks. Friends are important. You’re a reflection of the people around you. But you also need to think about your immediate world. Maybe your old school friends, your running mates, and your drinking buddies from your early working life are too far away and wrapped up in their own lives just as you are. You can’t deprive yourself of hanging out with friends until they’re next in your area. It can be invigorating and eye-opening to rebuild your network with the people who are around you every day. I’m not talking about an acquaintance you bump into twice a day in the corridor. With families or careers eating up so much of your time, it can be hard to find time to find and maintain real, bona fide friendships. Or is it? Take this acquaintance you bump into twice a day. Is sitting down at his table at lunch and opening a friendly conversation really taking any more time out of your day? You have to look at your current state of play. Work out the rough proportions of time you spend with your partner, at work, with your family, and with your friends. If the proportions are skewed way in favour of everything that isn’t friendship, your mindset may need adjusting. Older guys tend to “turtle up” when it comes to feelings, or showing appreciation for other men. Genuine affection can become buried under insults, business talk, sports banter, and roughhousing. We can also become complacent as we move through the years, and often miss moments for real connection and adventure just because we’re stuck in our ways. If you get on with Steve in the next cubicle, there’s no harm done whatsoever by saying “Hey, you’re a laugh in the office, fancy grabbing a pint after work?” Maybe you get on with your barber. Ask him if he’s up for a game of pool. Following through can be important. Everyone has existing friends to see and things to do. Don’t hound the guy, but do check on the morning of your arrangement just to make sure you’re still hanging out that night. Let’s say you’re an on-the-road salesman though, or a freelancer, and don’t get to be around a regular set of people all that often. 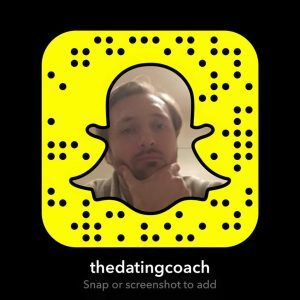 How do you then set about building connections and making friends as an adult? Here are a few ideas for new places that can re-energise your social scene. If you want to make new friends, Reddit is full of opportunities. Reddit is a living, breathing hive of useful conversation and a bewildering range of media on almost every conceivable subject. You can engage in dialogue with people who enjoy exactly the same activity or pastime as you. Maybe it’s a band or genre of music, a TV show, classic cars, antiques, a football team you’re passionate about – whatever it is, you’ll find that Reddit friends are buddies to unashamedly geek out with. There are also Reddit meetups where people come out and chat face-to-face. You may not even talk to everyone, but it’s worth turning up and just chatting to people who already like what you like. If you meet a few people you’d like to see again, swap social media handles and go out of your way to touch base later. Make a little effort to be social while you’re at the gym. You don’t need to drop anything mind-blowingly cool or out of the ordinary to strike up a conversation. A simple ‘Mind if I jump in?’ between sets, or a ‘Can I get a spot?’ are great conversation starters. This is perfectly normal behaviour in a gym environment, and it’s a great way to build quick rapport with someone. Put your ego and testosterone aside. The gym is a great environment for social interaction. Being social at the gym can also be a gateway to meeting attractive women there. And what better place is there to meet attractive women who look after themselves? Reddit is far from the only site out there running meetups – some sites are dedicated to such things. When you attend events for websites like funzing.com, meetup.com, smallworld.com, and internation.com, you can learn a new skill and meet likeminded individuals. They differ from Reddit meetups as you’ll not only be meeting people with similar interests. You will, however, be meeting people who are interested in meeting people. That is a hugely fertile environment for finding potential friendships. When a group message pops up about a drink or gathering, interact and wave goodbye to being that guy. Be a yes man. No matter how well you know them, see it as an opportunity to make an effort. The tendency to say ‘no’ and retreat to our bubble of comfort becomes more prevalent as we get older. To discover and nurture friendships, we have to place ourselves in these scenarios. Maybe even start a new group message with a few guys you’d like to see in a room together. See how many you can get to meet up. Naturally, not everyone will, but you’ll still get a chance to ‘bro out’ and blow off some steam. If people aren’t reaching out to you, create your own things to do. Set up a gathering or dinner party, visit a new restaurant, or have your new friends over for a big sports event or TV show. If people can’t come because of their partners, encourage them to bring a plus one. You won’t have to rely on previous social groups if you’re spearheading a new one. Set up a regular event like a poker or Risk night. Make sure you’re a great host. It’s an ideal way to ensure that you get to experience camaraderie outside of your daily responsibilities. Hosting an event is such a great move because it means you’re entering the friendship from a position of strength and control. You can be the reason people at the gathering know each other, and your name will come up. It’s a great way to get to know people, and for people to get to know you as a social leader. 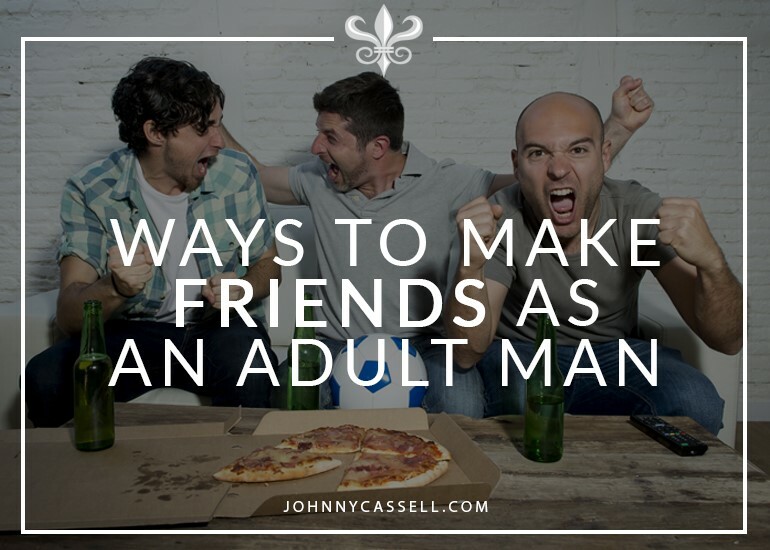 For more sage advice on social mastery, and for information about my 7-Day Programmes, head on over to www.johnnycassell.com/pua-training.